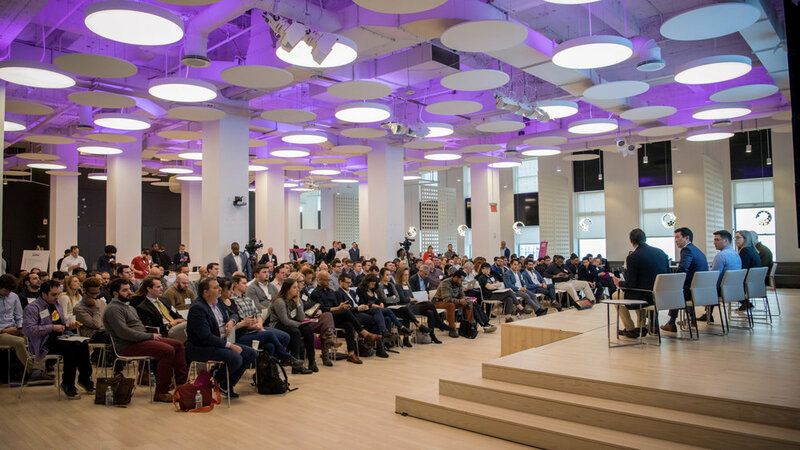 The next NYC Media Lab Combine accelerator program will take place in 2019. Faculty and students at an accredited university located in NYC are eligible to apply. Students must be currently affiliated with an NYC university at the time of application to be eligible. Tuesday, October 2: Information Session at NYU Leslie eLab from 12:30pm-1:30pm EST. RSVP here. Tuesday, October 16: Information Session at Parsons School of Design from 3:00pm-4:00pm EST. RSVP here. Tuesday, November 6: Information Session at NYU Tandon MakerSpace from 9:30am-10:30am EST. RSVP here. The entire cohort of teams will meet from 9am to 12noon weekly on Friday mornings in Manhattan. During these cohort meetings, the teams will present assignments focusing on evidence of customer discovery and different parts of the business model canvas. The curriculum focuses on formulating hypotheses to validate or invalidate as each team completes over 100 customer interviews throughout the program.